How many fillings do you have? If you answered “0” then congratulations, you get a Gold Star! The reality is that most people have had at least one cavity filled. 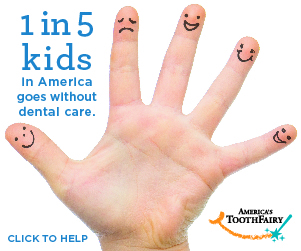 That’s because tooth decay is the most common chronic disease among children and adults. 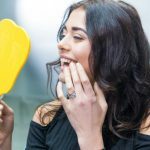 The National Institute of Dental and Craniofacial Research reports that a staggering 92% of adults between the ages of 20 and 64 have had decay. Given its extremely common nature and the impact it can have on oral (and general) health, it’s not surprising that dentists are working with organizations like the National Children’s Oral Health Foundation (a charitable partner of ours) to help shine a light on the growing epidemic and raise awareness about prevention — in addition to providing access to treatment for those most in need. At its core, tooth decay is a behavioral disease, meaning that it’s completely preventable. And the best way to prevent it is to be educated about it. The earlier, the better. Joel H. Berg, DDS — Dean of the University of Washington School of Dentistry, professor of pediatric dentistry and contributor to Consumer Guide to Dentistry — broached this subject in a recent article he penned for Decisions in Dentistry: Early Interventions to Support Pediatric Oral Health. Early education takes root in your child’s first checkup with a pediatric dentist, which should occur before age one. This first appointment is primarily focused on assessing the child’s risk of developing decay or other oral health issues. 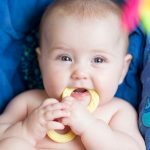 Effective plaque biofilm removal is an essential tool in preventing decay and is performed as part of the child’s first prophylactic cleaning. Topical fluoride is also administered to serve as a protective shield. But as Dr. Berg notes, simply adhering to this dental visit before the age of one is merely the tip of the iceberg. The most important aspect is the dental care that happens at home. Part of the problem is that oftentimes parents aren’t aware of the importance of oral hygiene for young children, and therefore don’t spend enough time with their pediatric dentists to become educated about the optimal daily home dental care regimen to use for their child. This education should include learning about cleaning the child’s teeth, risk factors to watch for, and even the importance of diet. 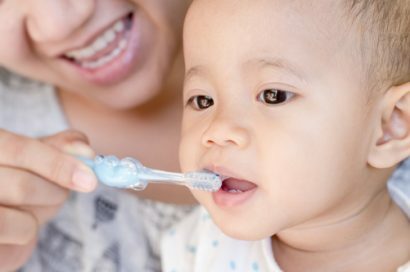 Only through a combined effort of professional dental care and at-home parental care can pediatric dental disease be avoided; or at the very least, reduce the risk. The unfortunate reality, as Dr. Berg acknowledges, is that more often than not, those most in need of pediatric dental care are those least likely to be in a position to get it. This isn’t just because of a lack of access to care (though that obviously plays a role). In many cases it stems from a lack of parents’/caregivers’ lack of knowledge about the importance of maintaining pediatric dental health. Hopefully continued efforts from practitioners and educators like Dr. Berg will help to highlight the importance of early intervention to support pediatric dental health. For more information, check out our articles on pediatric dentistry and pediatric tooth decay.